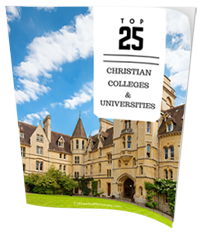 The decision to attend college/university is one of the most significant of your life. It can also be among the most expensive decisions (usually second only to a house purchase), so prudence is very valuable when considering your choices. While not like buying a car, where negotiations are encouraged (if not required), there is some room for negotiation when it comes to the total cost of higher education. The following set of recommendations, while not exhaustive, will get you in a good direction for making your final decision. 1. 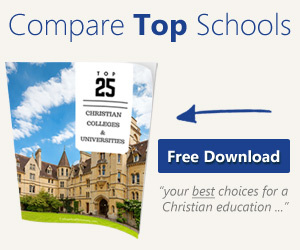 Apply to the colleges of your choice and get accepted at 2-3 “short-list” selections. This is obvious, but worth mentioning. It is senseless to negotiate with a school that you will NOT attend. 2. Research the entire cost of education. This includes tuition, housing, meals, books and any other anticipated expenses. Work the numbers down to a ‘cost per credit hour’ basis for direct comparison between schools. This can be a field leveling exercise as the school with the lowest tuition may have other costs which are higher. Get to an “apples to apples” comparison. 3. Prepare your information. This includes determining exactly what you can afford out of pocket. It also includes reviewing your Aid Approval Package to see if there are any anomalies that can be explained away (in your favor). Be sure to identify any situations or conditions NOT accounted for in the Aid determination review. There is excellent information on this topic at finaid.org/fafsa/negotiation.phtml. 4. Dialog with the Financial Aid office at the first choice school. This should be arranged with a phone call and followed up with a face to face meeting. Prepare for the meeting – it is a business meeting, so dress for the role! Do not bring a challenge to the table, Financial Aid Officers are humans (who may earn less than your family does!). Rather, using courtesy and respect, open with a question like “I am reviewing this aid package and want to understand how this number was reached; can you help me understand and allow me to explain why this really isn’t feasible?” Be ready to explain why the aid package may have been miscalculated (remember, this was generated by a formula using data input – different data yields a different result). Follow up with any benefits for both school and student; explain why is this school the first choice (be specific). 5. Seek additional grants and scholarships. The department issuing the degree may have additional (non-public) funding available. If you don’t ask you won’t know! Always seek additional funding from as wide a variety of sources as possible. Grades, Talent and Aptitude. Understanding the academic qualifications for the chosen degree program is vital; be sure to demonstrate that the student will excel in the program (bringing positive light to the Department). Include (or generate) sports achievements in your portfolio. Smaller schools have athletic grants available to help them compete on the playing field. Include the prospective coach in your discussions – they can exert influence (or steer additional funds) in your favor. Don’t rule out private schools. Public schools receive a lot of federal assistance, but to remain competitive, private schools have funds available as well. The leading question about how the school “rewards” good students is fair game. Matching an offer. Often, a school can match the aid package offered by another school to earn your business. There is some discretion if a valid offer is available from another college (be prepared to release the offer letter to the Financial Aid Officer for review). Minority student. There may be undisclosed funding available for certain demographics. If you don’t inquire, you won’t know! Did grandfather attend here? Uncle Louie? Alumni are the main contributors to a school – if there is a family history of graduates, leverage it to your advantage. Grants for physical and/or learning disabilities should be explored, if applicable. Parental employment. Financial hardship can be demonstrated if one (or both) parents are unemployed. Do not think this is a deal-breaker; it may be a deal maker. Unusual expenses. Financial Aid Officers can update your income data to reflect additional, unconsidered deductions from your income (medical insurance or bills, other tuition payments, etc. ); be sure your financial profile is totally accurate. Parental college attendance. While the federal government only looks at siblings in school, the Financial Aid Officer may be able to include the expense of a parent in school. Unusual family circumstances. Don’t leave anything out – your family specifics may warrant a closer look and re-evaluation. The bottom line is that there are really only two steps: Prepare your information and Dialog with the school. A good negotiator is always willing to walk away from a deal – this is important because it will impact how assertive you are during this process. Always remember to show the utmost respect and courtesy (read: professionalism), but don’t back down until all avenues have been explored. Why Can’t College Students Answer This Simple Question? The Reason Why Is Unbelievable.